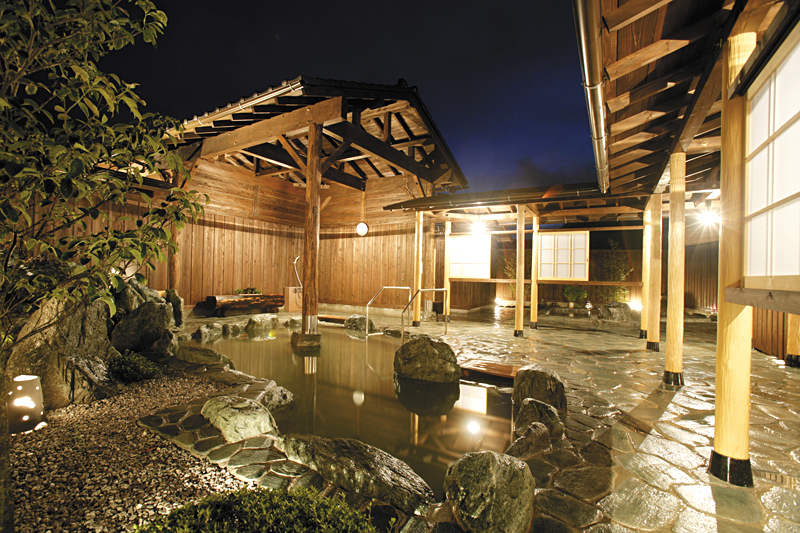 The hot spas of Chichibu have long been popular and they share a rich cultural history tracing back to the Edo era. Nowadays, visitors can enjoy a hot spa at a wide range of day spas and accommodation, not only for bathing pleasure but also as a remedy. 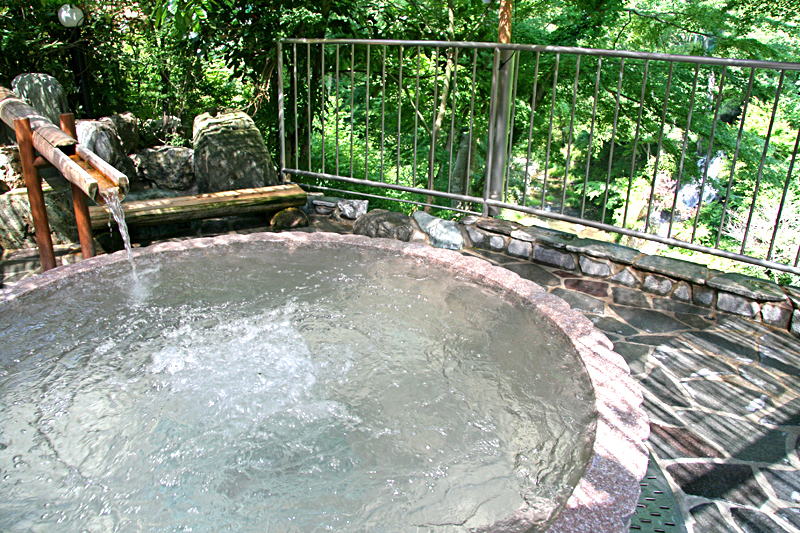 Pilgrims on the 34-sacred site pilgrimage circuit also take the spa waters to relieve their fatigue. 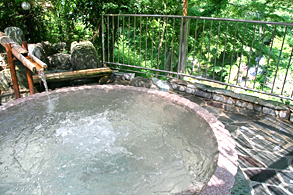 Many hot spas also allow visitors to hire their baths for private bathing. 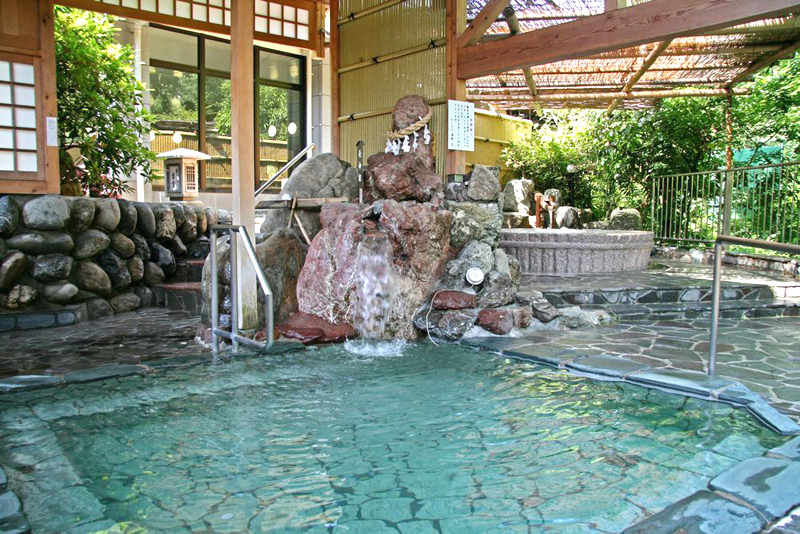 All the spas are mineral springs whose source temperature is low. They all meet the regulations of the Hot Spring Act, so can call themselves hot spas, but some still call themselves mineral springs. If you are looking for accommodation in the Chichibu region, why not have a look at the Yadonet Chichibu website. We have special seasonal packages and packages to suit your needs, just ask us. You can also reserve your accommodation on the internet. Yadonet Chichibu, the official website of the Chichibu Hotel Business Cooperative is here. Car camping allows you to park your car inside the camping ground and pitch your tent next to your car. Car camping grounds are fully serviced with running water and toilets, etc. You can also just visit for the day. Barbeque equipment is available for hire, but you need to bring your own food. There are all sorts of places to stay throughout the Chichibu region catering to business customers, sporting groups, and many other guests, as well as tourists. We at the Chichibu Hotel Business Cooperative look forward to assisting you with your next trip to Chichibu to ensure you have a great time here. Please feel free to ask us anything about accommodation in Chichibu.